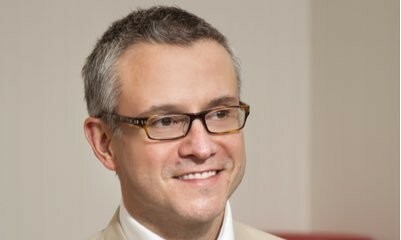 Ex-Target CMO and Uber president Jeff Jones is resigning after less than a year, citing differences over “beliefs and approach to leadership,” in a statement to Recode. The resignation comes at a troubling time for Uber, which has been facing a number of internal and external issues over the past few months. A #DeleteUber campaing on Twitter caused the company to lose thousands of users after CEO Travis Kalanick joined president Trump’s advisory board, and a spate of sexual harassment incidents from and against both current and former Uber employees have plagued the company over the past few months, prompting the company to hire a former US Attorney General to investigate the situation. Moreover, the ride-hailing giant is currently in a lawsuit with Alphabet’s self-driving car company Waymo over alleged theft of self-driving technology. Meanwhile in Asia, Uber has faced troubles in Taiwan, among other countries, due to regulations and has forfeited its China expansion plans, but managed to secure third-party insurance in Hong Kong. The Economist is offering free coffee and a month-long digital subscription for Hongkongers as part of a big advertising push acro.. The combined agency, SapientRazorfish, will sit under the Publicis.Sapient umbrella, which houses the company’s digital and techno..